No matter your level of Biblical knowledge, we can all aspire to know more about God’s word. The desire to know God’s word so that we can lead a genuinely happy life, naturally comes when one understands God’s will and that comes by having an intimate knowledge of His world. 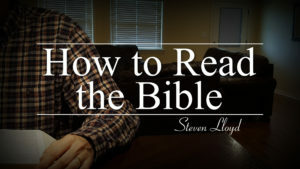 Join Steven Lloyd as he discusses strategies on how to effectively read the Bible. As you open up your Bible, there are two important ideas to keep in mind: 1) The Bible tells a story; 2) As you read each book of the Bible, it should be read as a complete whole. In this lesson, Steven Lloyd discusses how we can more efficiently study our Bible. The Bible contains many different kinds of works including narrative, poetic, proverbial, and prophetic works, among others. When reading the Bible, it is important to know that there are different kinds of literature because our approach to these various works requires slightly different skill sets. 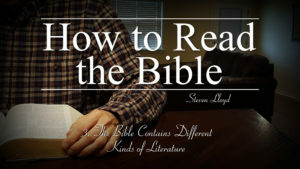 In this lesson, Steven Lloyd discusses the various type so literature found in the Bible and presents ways that we can best analyze and study God’s word. As with any work of literature, understanding the setting, characters, and plot will increase a person’s knowledge of what the author was wanting to convey. The same is true for the Bible, where God is the author. 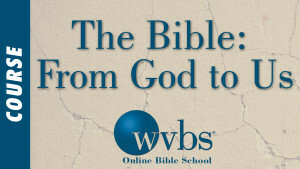 In this lesson, Steven Lloyd helps the Bible student better understand how to delve deeper into God’s word and to gain a fuller appreciation for God’s word. As we read and study our Bible, we can see that the Bible has one continuous thread: namely Jesus Christ and our redemption to God. However, as the Bible story unfolds, one will notice turning points, such as “The Creation” and “The Fall.” Join Steven Lloyd as he presents the first part of these turning points in this lesson. In this second lesson on “The Story of the Bible,” Steven Lloyd examines the next turning points of the Bible such as when Israel asks for a king and the institution of the church. One type of literature that is found in the Bible is poetry. These poetic include the Psalms, many of the prophets, Ecclesiastes, and Job. In this lesson, Steven Lloyd discusses how a student of God’s word can approach poetic literature to gain a deeper understanding of the Bible. In this second lesson on how to read poetic literature, Steven Lloyd continues the discussion on how to more effectively read the Bible’s books of poetry. As you begin reading through the book of Psalms, knowing what type of psalm it is and being able to identify the topic and theme will help the Bible student gain a better of understanding of what the writer in wanting to say. Based on his lessons in this video series on “Reading Poetic Literature”, Steven Lloyd applies the principles outlined to give an in-depth study of Psalm 1. Apocalyptic literature is found throughout the Bible in both the Old Testament and New Testament. While apocalyptic literature may seem cryptic at times, the purpose of of the writer was not to cover up the message, but to make it clear. 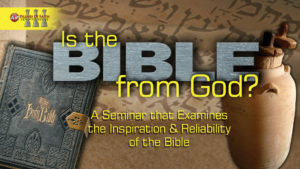 Join Steven Lloyd as he presents specific examples of this type of literature and gives tools to the Bible student on how to better examine it. 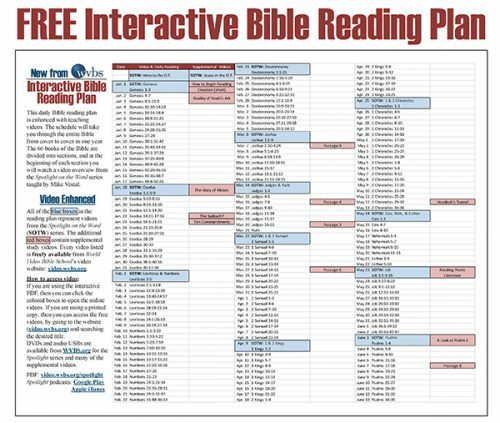 How do you start reading the Bible? Can it be understood? 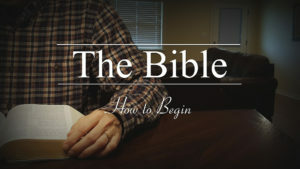 The Bible can be a complex or intimidating book to begin reading. It contains 66 volumes composed of history, prophecy, prose and poetry. Learn how to read the Bible by understanding how each section is written and you can study through the Bible. 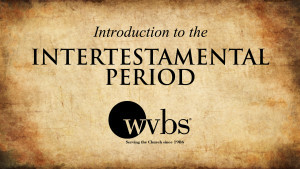 Join Steven Lloyd as he briefly introduces the primary story of the entire Bible. Getting started reading the Bible can be intimidating. Where do you begin? How do you start? The Bible contains an amazing variety of historical figures and accounts: kings and queens, angels and demons, the righteous and wicked, great battles, assassination plots, rags to riches stories, and accounts of war and peace. A good way to begin reading the Bible is to familiarize yourself with the building blocks and recognizing the type of literature. Consider if you are reading poetry or prose. Look for the main characters, setting, and plot. Is the Bible from God?